A true star of your cutlery service and favorite weapon of the epicurean and gourmet, the table knife with its moderately sharp blade is a must for meals on special occasions or everyday use. Beyond their purely functional aspect for meals, classic or modern style table knives have an undeniable charm which can glam up yout table decor! 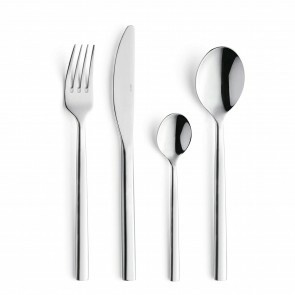 Available in stainless steel, sometimes with a polished mirror finish, brushed or satin to give the stamp or with a colored handle, it must be in harmony with the general style of your table. The story of the knife is very old. In fact, did you know that Japanese knives, ceramic knives, boning knives, chef's knives and folding knives have very distant origins? The art of cutlery dates directly from the paleontological period since our ancestors of the time always carried on them a stone knife (which is much more like the modern kitchen knives and hunting knives) to slice their prey. However, it is only in the 17th century under the influence of the Sun King who preferred it to the pointed knife that the table knife has taken its present form! 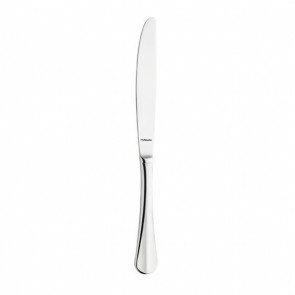 French cutlery remains to this day one of the most prestigious in the world. The city of Thiers is considered as one of the world capitals of cutlery articles. You will find some of the finest forged knives and industrial knives in the world. More than 300,000 exceptional knives are produced every year: ceramic knives, steak knives, professional knives, carving knives, fillet knives, bread knives, regional knives, knives with wooden handles, Swiss knives and table knives. The most renowned cutlery artisans in France are Opinel or Laguiole. 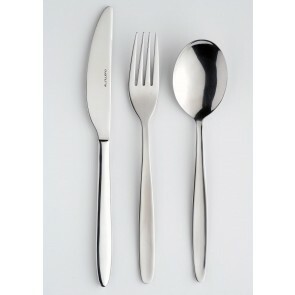 Among finest cutlery brands we must mention Guy Degrenne, Amefa, Couzon, Eternum. 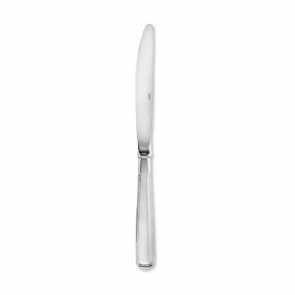 Where to place your table knives according to the etiquette and codes of formal table setting and gourmet settings? 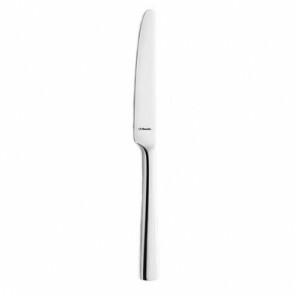 If you wish to opt for an English table setting for your cutlery, you must place your table knife on the right side of your plate (cutting edge towards the plate) next to the fish knife. The meat fork will be placed to the left of the plate. As for water glass and wine glasses, they will be placed above the knives, which will be much more elegant. However, note that there are some exceptions to this rule such as for Japanese cuisine where the etiquette the Japanese knife is mainly used in cooking and chopsticks for tasting. The knives come in different forms which are not a mere coincidence they correspond to their use: kitchen knife to slice and dice, bread knife, paring knife, butter knife, cheese knife, boning knife. The serrated or smooth-edged table knife is elongated and slightly curved at the front. The blade is an average length of 12 cm. Some are equipped with a ergonomic handle or with a specific design for a better grip and a prestigious aestheticism on the table. The choice of design will depend your table décor and dinner theme. 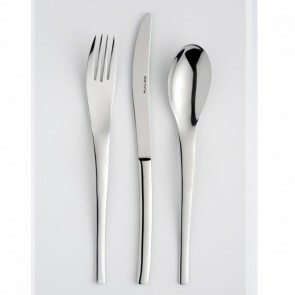 To choose a knife and flatware, just let your imagination run wild. 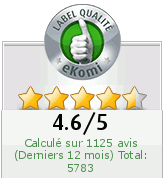 There is a multitude of designs to satisfy you: vintage, classic graphic etc. The knives with a curvilinear design like those from the Arcoroc brand will bring a touch of modernism to your table decoration with a touch or a classic flair. The knives with colored handles from Amefa or Guy Degrenne brands will liven up your table and add a tangy contemporary touch.